Gluten-free snacking is amongst the hottest trends internationally right now. From movie stars to sportsmen and women and fashion icons to corporate honchos – everyone is constantly on the lookout for healthy snacking options. For Shivani Malik, the idea to launch a gluten-free snack brand came less from a need to cater to this burgeoning demand, and more from a personal necessity. Struck by a series of personal losses, Shivani knew she had to do something to pull herself out of it. She needed to create a steady source of income for herself. As a young mother to a gluten-intolerant child, Shivani already knew how to make basic dishes for those allergic to gluten. Arming herself further with traditional recipes belonging to her mother and grandmother, she decided to convert her daily practice into a brand that is now gaining popularity in several countries across the world. 4 years down the line, Mother’s Kitchen is a small and stable brand, eager to break into the big league. Shivani’s passion to serve healthy, hygienic and nutritious snacks to all has kept her going through what’s been a tough journey, along the way she has also acquired a quiet resolve to help empower as many mothers like herself through her brand. Q. Tell us about Mother’s Kitchen- the brand? What kind of products do you manufacture and what is the USP? A. We, at Mother’s Kitchen, have tried to give a modern avatar to the age old golden recipes coming from the recipe books of our great grandmothers. Though our approach is novel, we have taken special care to keep the taste, the aromatic flavour and the nutritional value of these timeless recipes completely intact. Mother’s Kitchen has, therefore, tried to redefine the traditional authentic flavours in a contemporary style, which you could also say is our USP. It sets on an endeavour of providing the same appetising flavours prophesized by our great grandmothers but in a way that caters to the taste buds of today’s generation. Women have excellent culinary skills which sometimes go unnoticed. So, my aim is to empower the skill sets that they have had for ages and have contributed to build in a healthy lifestyle keeping in mind the nutritional value that every individual requires in today’s time and age. Thus, handcrafted food products of superlative quality are prepared in well-equipped factories of Mother’s Kitchen. We also take special care to retain the natural colour, aroma and flavour of the food products, adding no extra colours or preservatives. A noteworthy feature of our enterprise is that all the eatables are 100% vegan as well as completely gluten-free and lactose-free, thereby being a delightful package for all the health conscious consumers. So far as the variety is concerned, we provide a wide range of crunchy sweets, light and healthy bites, evening munchies, cookies in different flavours including coconut cookies, fennel-infused cookies, cranberry cookies, almond cookies and so on. Apart from the ones mentioned above, we have many other innovative and delectable food products available that are a unique blend of traditional flavours and modern approach. Q. Healthy snacks is a fast moving and in demand category. How did you decide that you wanted to do healthy, gluten-free products? A. My daughter was diagnosed with gluten intolerance at a very tender age. She was advised to consume a gluten-free diet. As a mother I felt a strong desire to provide her with a healthy, nutritious and particularly delicious gluten-free diet and here is when the recipes of my mother and my grandmother came to my rescue. These special recipes offered gluten-free properties and were nutritious at the same time. My personal experience made me realise that there are so many people out there suffering from the same problem. Hence, I started my own catering business under the name Mother’s Kitchen to provide them with healthy, gluten-free food. I tried to experiment more with my food products and came up with the idea of ready-to-eat healthy, gluten-free snacks which would cater to the taste buds of today’s generation. 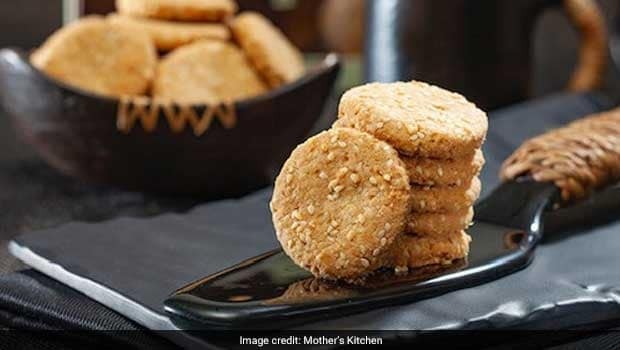 Gradually, we, at Mother’s kitchen modified our products and started providing a wide range of healthy, gluten-free snacks which are also very flavourful and suit the need of the hour. Q. Where all are your products available now around the world? A. Mother’s kitchen is spreading at a rapid pace capturing the global market like that of U.K, U.S.A, Hong Kong, China and U.A.E. We have also made our impact and presence felt across Canada, India, Australia and New Zealand. We are trying to reach as many consumers as possible all around the globe because our main aim is to be a part of every house. A healthy society is what we have envisioned and so we are on a voyage to provide the consumers with our healthy, gluten-free products that are a contemporary version of the age-old recipes of our great grandmothers. Q. How do you ensure the product quality and purity when producing in large quantities? A. I, as a mother have always been very conscious while preparing anything for my daughter. Right from keeping the kitchen environment clean to clean utensils, I have ensured that whatever I prepare is best for her health. I strongly believe that this is a cause for concern that all mothers have before preparing a meal for their child. Thus, when I started Mother’s Kitchen, I ensured that my staff members, who are all mothers, follow the practice of keeping their environment as well as usage of every ingredient clean before they begin work. I take special care of the hygiene of the food articles that we prepare right from the stage of preparation to the stage of packaging. We also make no use of machinery to ensure that our supplies are handmade. So, the main idea of providing handcrafted food products is to capture the essence of home-cooked food which is prepared by our mothers with great love and affection in a completely hygienic atmosphere using pure ingredients that are free from adulteration. Our products are prepared using the choicest ingredients that are handpicked so as to maintain an excellent quality. After undergoing a rigorous and detailed inspection conducted by the experts of the field we have successfully acquired Vegan certification, FDA certification and Halal certification granted by the U.K Certification and Inspection Company. Q. Tell us some of the most difficult situations you had to deal with while creating the brand? Was it logistics? Legal? Or just marketing? A. It was not easy for me when I initially planned out my start-up and started working upon its setup. I faced several hurdles and setbacks. A factor that cannot be overlooked in order to initiate a start-up is raising funds. But my determination, sheer passion for excellence and strong sense of willpower never left my side and constantly motivated me to achieve my target of serving the consumers with healthy and tasty food with an underlying motive of empowering women. With an expert unit of female staff who needed encouragement in life to achieve their dreams and goals, after four years of hard work I finally came up as the proud owner of Mother’s Kitchen. Our sole strategy to reach out the consumers and promote our brand has been marketing by advertising our products through our website and social networking sites. We, now, are working rigorously towards making our brand reach the consumers in India as well as overseas so that everyone around the globe could savour our handcrafted food products keeping their health intact. Q. Which is your favourite SKU from your range and why? A. I have got a sweet tooth and so I savour the sweets and cookies we serve in particular. Out of the diverse range of products that we provide, I would say coconut cookies are my personal favourite. These chocolate-flavoured cookies infused with coconut flavour make for an exquisite combination. Apart from these, the flaxseed cookies with roasted flaxseed and sesame seed cookies that work as perfect winter munchies are my all-time favourites. Q. What would you say to people who have never tasted your products? Why should they try Mother’s Kitchen? A. To the ones who have never tasted our products, I would say should definitely try out our products for they would not be disappointed. Moreover, Mother’s Kitchen’s forte is that we have transformed the age-old golden recipes of our mothers, grandmothers and great grandmothers in a completely modern avatar though preserving their basic essence and flavour. So, we provide our consumers with food products that are a unique synthesis of traditional flavours and modern approach, which are not only healthy, pure, gluten-free and nutritious but extremely delicious too. Q. What’s the plan for the next 12-18 months? A. In the coming 12-18 months, we envision ourselves to be amongst the leading brands in the field of health and nutrition. Our aim is to be present in every house and become the first choice of health conscious consumers looking out for a healthy yet an utterly delicious treat. When I say to become the leading brand, it is not only concerned with capturing the market so as to make good money. Making money is great and important too, I would not deny that, but in the process how many are we truly able to help is what counts. My venture, therefore, works as a catalyst to help the millions out there struggling with health problems who could consume our products which are healthy, nutritious and so very appetising. Creating millions is a great feeling but helping millions is a state of complete bliss. Working upon this policy, we want to leave a mark as a leading brand in the field of nutrition with a great social cause. Mother’s Kitchen is working diligently towards uplifting the status of women by extending a helping hand to the housewives who could send their special recipes which would be further developed and made to reach the consumers.